The internet is a great place to be at these days. You want to buy something, just a snap of fingers away. Same condition if you want to sell something. Space online is flooded with sites and e-stores. Be it everyday supplies or art, everything is available for you to buy online. In this piece, we are going to talk about Online Art Gallery that sell art online, such as Showflipper. The range of art for sale online available to you is really huge. 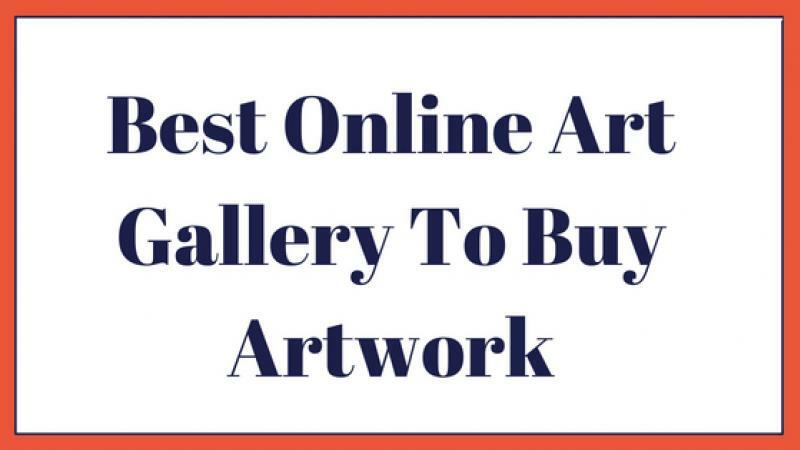 If you want to buy art online or simply just explore beautiful art, these online art gallery websites are perfect for you. It’s easy to get lost if you are new to the world of online art shops. You might be even scared to shop online without having actually seen an artwork shipped to you. With reliable online art galleries and credible policies, you can always be safe and sure about your money. This article intends to educate you about some of the best online art galleries that feature awesome collections of antique, as well as modern artworks. As we have already mentioned, a few of these sites and you might as well have gathered a fair idea of where to go looking for artworks at reasonable rates, just to be clear, we now list some of them down. This online art store is coming up with new and innovative artwork displays for sale each passing day. Artists featured on the site’s online art gallery come from various genres and have their portfolios categorically displayed. You can browse through their exclusive works and read the stories and ideas behind them by clicking on any exhibited item. Showflipper features wall arts, sculptures, modern art, abstract art indoor and outdoor art, as well as garden art sculptures for sale. If you are a fan of paintings, you might as well be intrigued by the amazing collection of oil and watercolour paintings featured on the site. Apart from the regular traditional paintings, it is also home to many digital illustrations from both established and upcoming illustrators. The sculptures featured on this online art shop ranges from wooden art to stone and marble statues. You can get almost anything and everything artistic here by just browsing through its category pages. So, make your way to the ShowFlipper, the online art gallery and see for yourself what it has to offer. As the name suggests, the contemporary art gallery deals in modern and contemporary artworks from new, budding artists willing to put up their creations for sale. If you like things with a modern bend, this site is your one cyberspace to be. You can discover and explore new artists and buy modern paintings, abstract sculptures and other contemporary artwork like wall-art and garden sculptures. Discover another world of unbridled artistic potential and talent. Artspace is another online art gallery which lets you explore and buy artworks from artists all over the world. You can sign up and explore all the new artwork on display. You can find all kinds of contemporary art freshly put up for sale by following the site regularly. Know more by visiting the site yourself. The online collection of artwork for sale featured on these websites is eclectic in every sense of being, featuring the best of each genre. Not only can you explore works from established artists, but also discover some new, budding ones. Websites like ShowFlipper even act as a platform for client-artist interaction where you can directly get in touch with the concerned artists. If you are just a common, individual buyer, you can still explore categorized work from any given artist and explore art that interests you. These arrays of artwork are explicitly derived originally from the artists behind them and thus come to you at a fair, un-bargained price. Contemporary art gallery online is one such haven for people who are looking to buy and explore works from modern contemporary artists. Plenty of the online art gallery sell royalty-free artwork to their buyers at affordable rates. But, there are sites that might feature artwork with copyright. Procuring such artworks might cost you a fortune if you are not careful enough. It is very important that you shop from right places and don’t end up making a fool of yourself. So, you got to know about some of the best Online Art Galleries that let you buy artwork online. Your choices are not limited to these and there are plenty of other websites worth exploring too. But only so much we can do, right? But you can certainly find out more by diving into the world of online art galleries. Off you go, happy exploring!